We had our first snow of the season; pretty whites which changed the dry Texas landscape into a winter wonderland temporarily. It was magical and it felt good – an official announcement that winter is here, and the holidays are here. My roses did not expect the snow; they stood out and had the flurries fall softly on them and form a snow cap. They bowed down, at the magic and splendor or perhaps in a silent prayer? It was rather lovely. We have four large rose bushes outside our home which have been blooming wild for most of the year. The first time I used the rose petals in my kitchen was in the Saffron Yogurt Mousse with Rose Petal Honey. Ever since that day, my kids snack on the rose petals drizzled with honey. It is going to snow again soon and put an end to my blooms for the season. 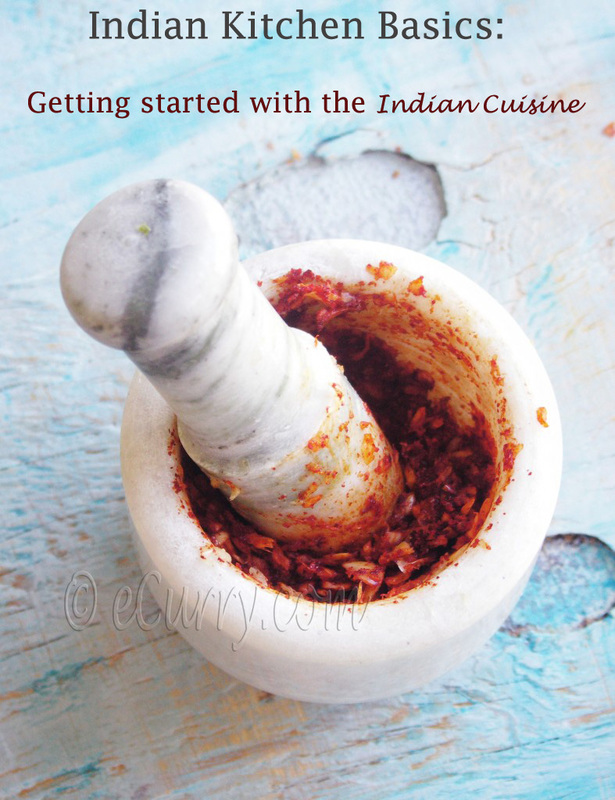 Before that happens I decided to post this quick but elegant recipe which we all enjoy. Serve it for breakfast, snack or dessert; make it for yourself, for friends and family or an upscale party. It is appreciated a lot! If you are not using Greek Yogurt, drain the regular plain yogurt for at least half a day to get it thick and creamy. Use only organic rose petals. Wash them well and dry them with a paper towel. Use them whole or chopped. Combine sugar and saffron with the yogurt and keep it in the refrigerator for a couple of hours for the flavors to infuse. 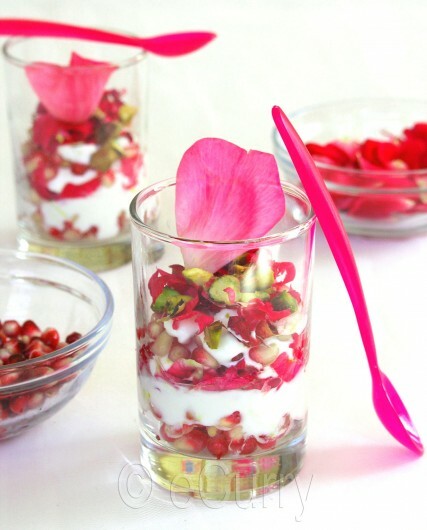 Combine the rose petals and the pomegranate arils together with the yogurt; or layer them like a trifle. Garnish with pistachios or any other favorite nuts. I do not think it is needed for me tell how beautiful and delicious this can be. It is as lovely as it looks. Fragrant saffron and rose petals, luscious juicy pomegranates and silky, creamy sweet yogurt with a slight hint of nut.. what can go wrong with that? The beautiful red, white and green will make this a perfect holiday recipe. Arrange in individual servings and enjoy with your friends and family. Enjoy the Holiday Season!! Jacqueline of Tinned Tomatoes is hosting the NCR for the month of December; no soups or salads this time – sent in your festive photos for this festive season. I am sending the picture of the Rose for the NCR. Beautiful Soma. Snowing in Texas already? I think I can only say beautiful and delicous. That says everything. wow this looks really delicate and such wonderful flavours! Wow, thats a gorgeous click, and looks like simple but splendid dessert! so beautiful and elegant looking! I miss the white blanket for holidays here… Very exotic dessert! very pretty….nice clicks & uh…the rose for munching…i miss it so much…..my grand father use to make few really good desserts & mouth freshners using home-grown roses, i miss that so much….& we r still waiting for our first snow flurries of the season. I would never have thought of adding rose, but it is so pretty. Talking of pretty, do you know we are doing festive photos for this month’s NCR, your rose photo would be perfect. Snow in Texas? We haven’t had any yet in Toronto, but we are getting some any time now. 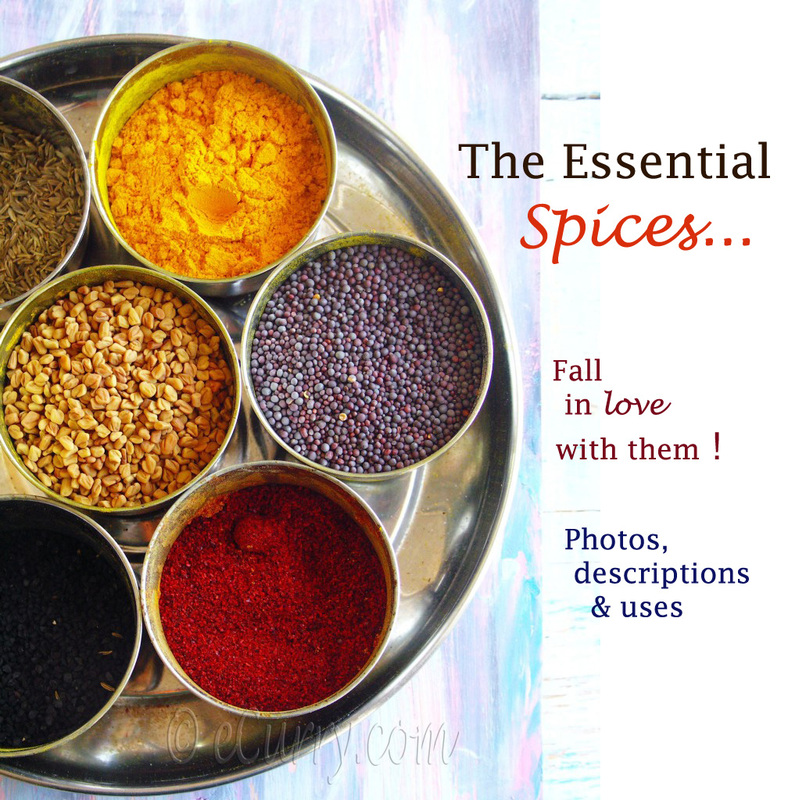 Sorry right now I just ignored the recipe..I just can’t concentrate on words when the pictures are speaking volumes..Let me first enjoy the vibrantly colourful, artistically done and beautifully captured pictures, and then I will go thru the recipe(hopefully)..Muahhh ! 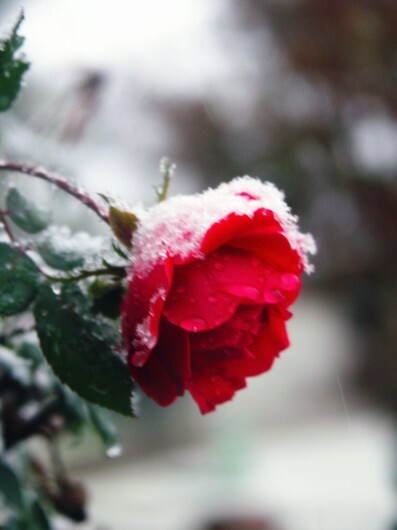 Beautiful pics, love the rose in snow. Great recipe as well. What a beautiful dessert. 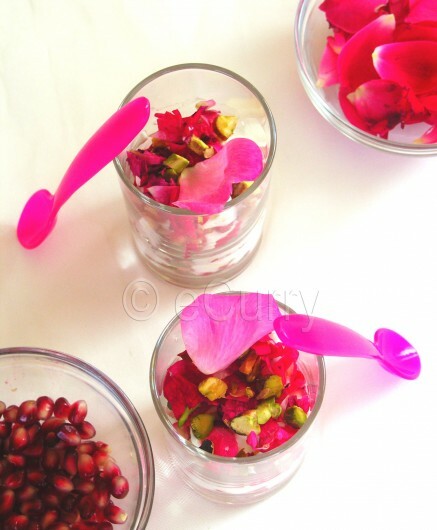 I love rose-flavored dessert, ans I love that pink spoon! Where’s it from? This is such a pretty dessert! 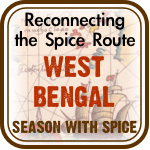 I love saffron and rose–it must taste lovely. Beautiful photos! Love your presentation and what a lovely combination of ingredients. Awesome pictures Soma and great dessert too. The red, white, pink in the picture looks so pretty. 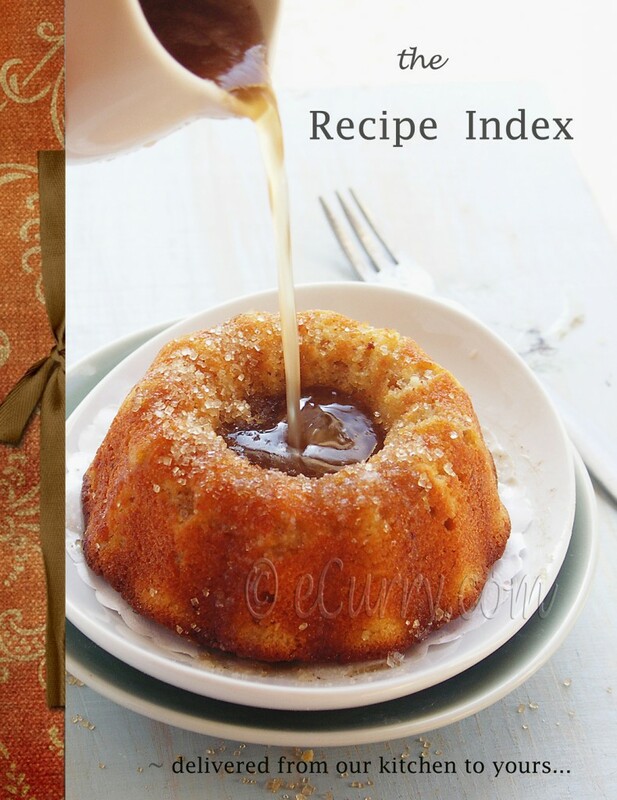 This is such an elegant and lovely dessert ! Great pictures…. Such a beautiful and fantastic dessert.. WOW!! lovelyyyyyyy pictures. Gorgeous and pretty yogurt. 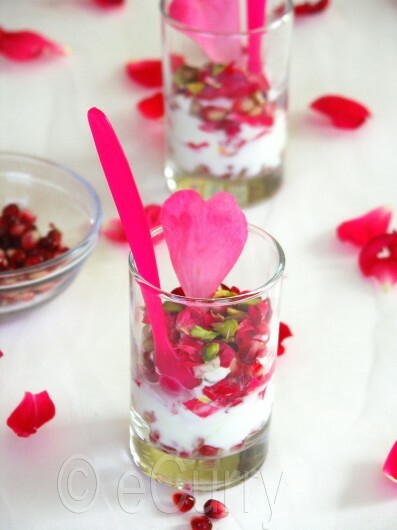 What a clever idea to add rose petals and pomegranate to the greek yogurt! Wonderful dessert and some equally beautiful photos! Simple and very delicious, looks great. love all the photos. 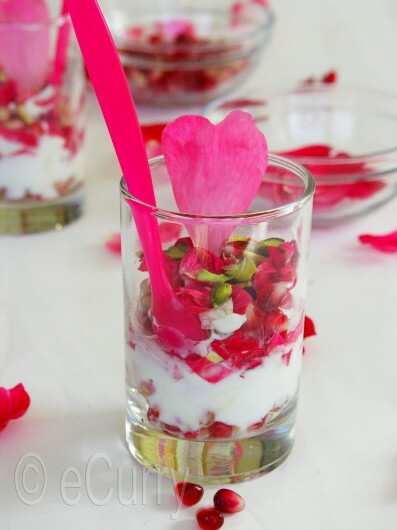 What an elegant dessert, and so pretty with rose petals! Just lovely! Whats not to love about it Soma…STUNNING!! Saffron flavored yogurt sounds interesting and delicious! I have to try that! Oh My God!! this is one of the best recipes I’ve ever seen that Really made me and my mom Smile big time! stunning photo… the dessert sounds simple and divine. thanks for sharing! 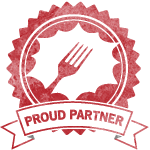 It is wonderful to read your write up, look at the pics and try the dishes that you present here! This is fabulous !! stunning photos…. Hi Soma, I made Shrikhand on the lines of this and it turned out very well. Thanks again. Shrikhand- Delicious to eat and quick to make! « Joy of Cooking! I loooove your blog!!! Thank you so much for sharing it with us. Do you have a profile in facebook? i can see you love your roses…Love the pink hues!! !